We know that our amazing Family Friendly Fabrics are a popular choice; well, what's not to love? Stunning colours, tactile textures and most importantly – super easy to take care of. After all, a lot of life happens on your sofa! That’s why we decided to offer you even more choice. Joining the Family Friendly collection is our newest range of fabrics; Family Friendly Cotton Touch. 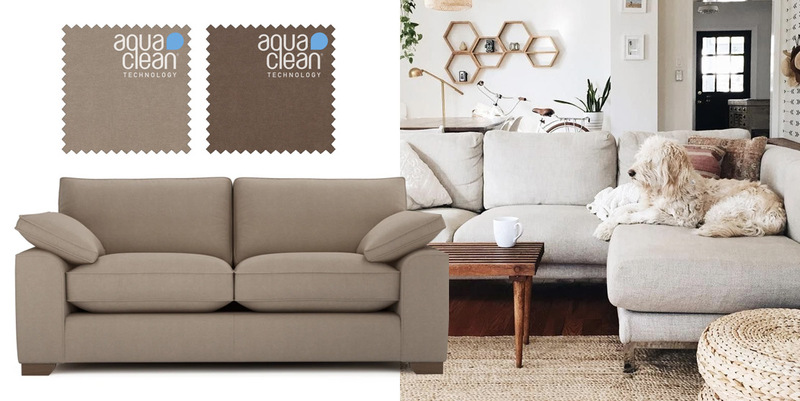 Harnessing the power of Aquaclean® Technology, these super-soft, vibrant fabrics make your family sofa wipe-clean; simply remove everyday stains with a damp cloth. Easy! Discover more about how Aquaclean® Technology works. 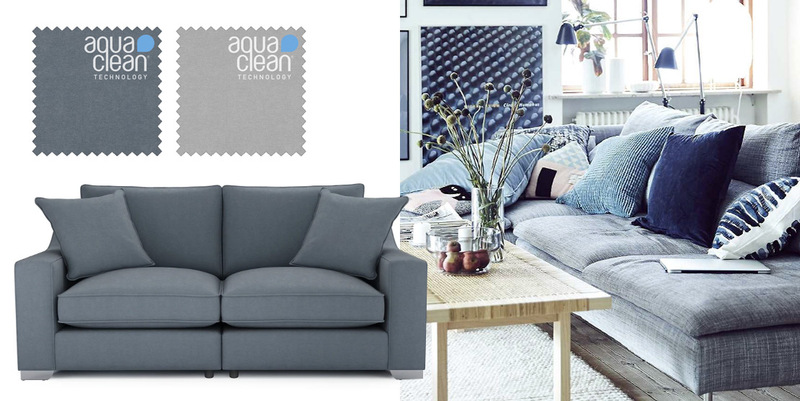 A palette of pared-back blues and greys creates a relaxing, casual look. Choose furniture made from natural materials and pile your sofa with cushions in shades inspired by the sea and sky. 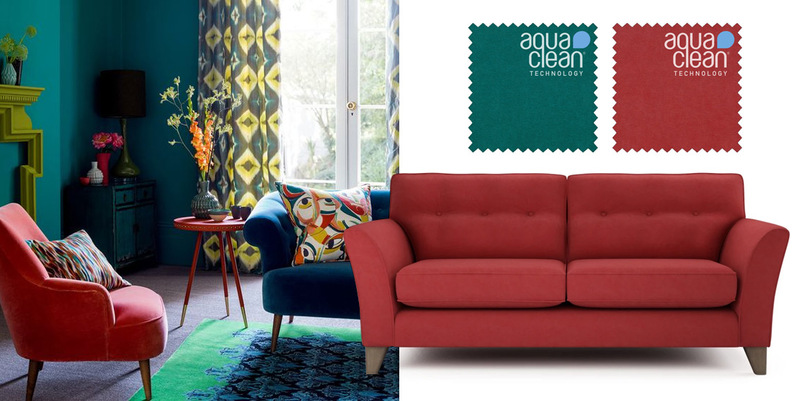 Make a statement by being bold with your colour choices; vibrant jewel tones will give your lounge the ‘wow factor’. Don’t be afraid to clash your colours – as long as they’re bright, they’re alright! If you’re after a look that’s a bit more classic, you can’t go wrong with neutrals. Calming shades of cream, beige and brown will create a feeling of effortless elegance. Even the dog looks chilled out! 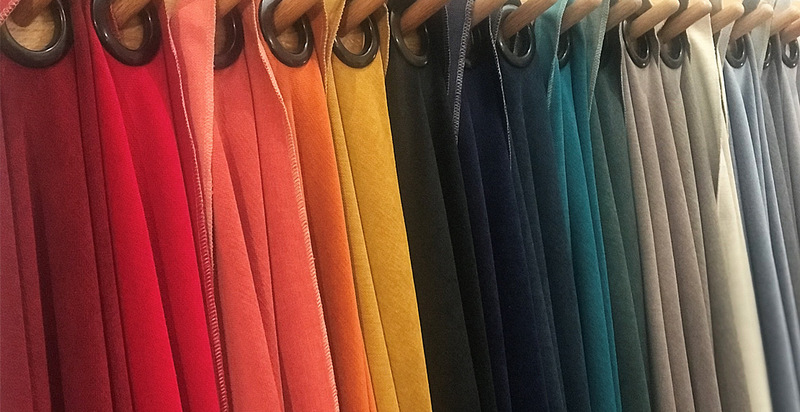 With eighteen beautiful fabrics to choose from, deciding which one’s your favourite is the hardest part. 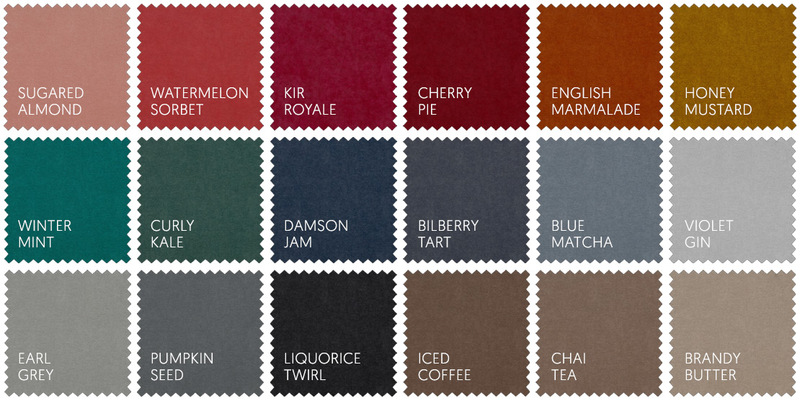 To really appreciate the tones and textures, we’d recommend ordering up to 8 swatches for free, so you can visualise how they’d look in your own home.